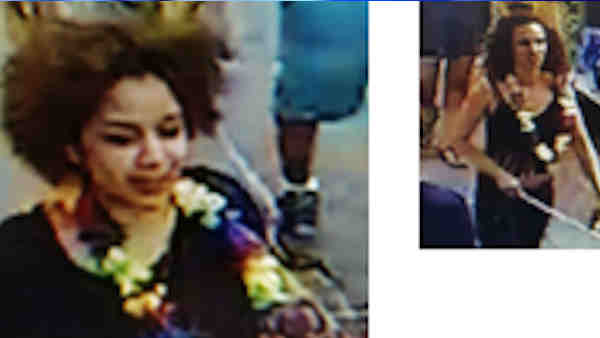 MORNINGSIDE HEIGHTS, Bronx (WABC) -- Police are looking for two women in connection with a possible bias attack on a subway Sunday. Around 7:30 p.m. Sunday, an Asian woman was on a northbound 1 subway with her parents when two women boarded the same car at the 86th Street Station. One of the two women leaned toward the Asian woman, screaming and shouting profanities. According to the New York City Police Department, the women pulled the victim to the floor, and punched her in the head while making anti-Asian statements. The two suspects then fled, getting off at the Cathedral Parkway station at West 110th Street and Broadway. The victim suffered bruising, swelling, and pain to her head and torso as well as a concussion. She was treated and released at St. Luke's Roosevelt Hospital. The second woman is described as Hispanic, wearing a black tank-top, black pants a multi-color lei. The first woman is described as Hispanic, wearing a black top, blue pants and a multi-color lei.